Greater Manchester Mental Health NHS Foundation Trust (GMMH) provides inpatient and community-based mental health care for people living in Bolton, the city of Manchester, Salford and Trafford and a wide range of specialist mental health and substance misuse services across Greater Manchester, the north west of England and beyond. We also provide Health and Justice Services in a number of custodial settings. The business of GMMH is managed by a board of directors. The board work closely with the council of governors, who provide local accountability by representing the interests of members and partner organisations. 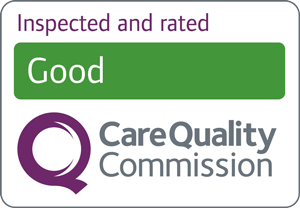 The Trust’s performance is scrutinised by the Foundation Trust regulator, NHS Improvement, and the Care Quality Commission. Local authorities in Cumbria, Central Lancashire, Manchester, Trafford Salford, Wigan and Leigh. We employ over 4,589 members of staff and deliver serices from over 140 locations. In a 12-month period we expect to meet the needs of around 53,000 service users.